Rent an RV in musical Tennessee, “The Volunteer State”. Your Tennessee RV rental vacation will be filled with serene rural landscapes, river valleys and cities, and, most importantly, country music. 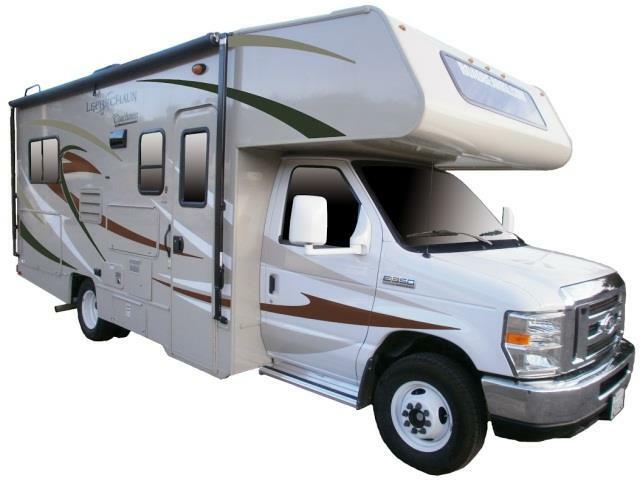 Tennessee RV rentals will travel quickly and smoothly along Tennessee’s quality interstates and highways. The state of Tennessee is within reasonable driving distance of 75% of the rest of the USA, making Tennessee one of USA RV Rentals’ most accessible states. It is the land of country music and contains both large cities and vast quantities of natural land for your vacation enjoyment. Abounding black fields running along the Mississippi, thriving horse farms, valleys, remarkable Appalachian and Smoky Mountains, and natural wild caves will pass by your Tennessee RV rental window. Even cities like Memphis and Nashville will display more natural land than you’re likely to see in other major cities in the US. Choose a Memphis, Tennessee RV rental and visit the famous Graceland Mansion that once belonged to Elvis Presley. Many RV rentals travel to Graceland every year in remembrance of Elvis. Choose a Knoxville, Tennessee RV rental and you’ll have the opportunity to stop at Dollywood, Dolly Parton’s theme park. Choose a Nashville, Tennessee RV rental and visit the Grand Ole Opry where many famous country musicians have performed. It should noted that Nashville also has a wide variety of museums that are a must-see. There are other Tennessee cities that contain worthy, man-made attractions. You could check out the Bristol Motor Speedway, the Jack Daniel Distillery in Lynchburg (oldest registered distillery in the USA), or the Chattanooga Choo Choo in Chattanooga, a popular restored railroad station in southern Tennessee. If you’re looking for natural beauty, drive your Tennessee RV rental to the Great Smoky Mountains National Park. Frequented by many Tennessee visitors, the Great Smoky Mountains are a breathtaking sight to be seen. They stretch evenly across the North Carolina and Tennessee border so they can be seen equally well in both states. Drive your Tennessee RV rental to Burgess Falls State Natural Area (pictured here) and find a nice campsite close to the area. There’s a stream side trail beside the Falling Water River that will unravel to become the beautiful, plummeting Burgess Falls. Be sure to bring a lunch because Burgess Falls has great picnic areas for you to stop at. See our RV rentals in Tennessee.